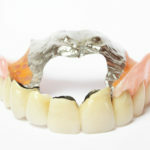 Growing up, we may have had an elderly relative who wore dentures and liked to scare us by popping them out ghoulishly. But contrary to popular belief, there are many reasons for tooth loss besides aging – and many solutions to tooth loss other than loose, artificial-looking teeth! 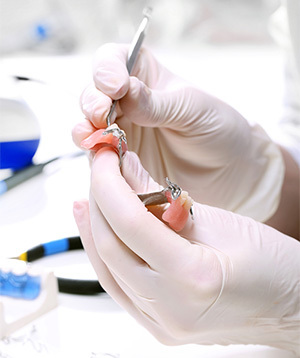 If you have no natural teeth left, you are an obvious candidate for full dentures, however, even people who do have some remaining teeth may opt to have these teeth extracted, rather than try to bridge many gaps with partial dentures – particularly if the remaining teeth are compromised in some way. 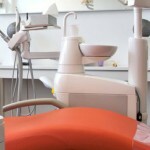 The decision, of course, will be up to you – with the help of an experienced denturist who can explain all your options. 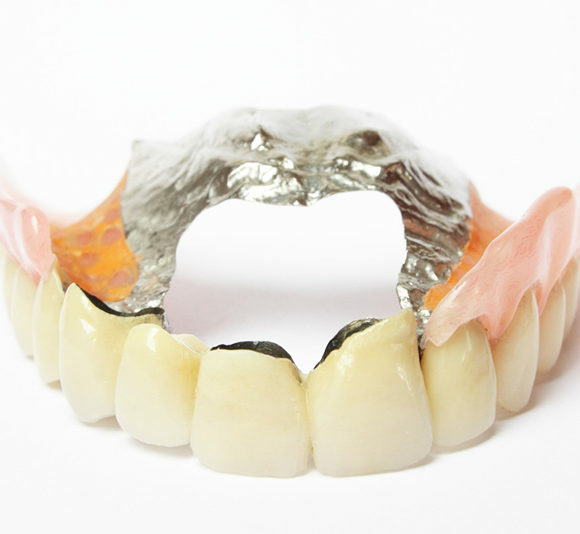 Implant retained dentures, which are growing in popularity, are becoming increasingly affordable for patients and offer a much greater degree of stability than traditional dentures because the teeth are securely attached to implants in the jaw, rather than simply sitting on the gumline. 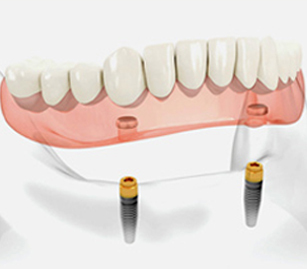 Dental implants and non-removable dentures mimic natural teeth better than do full or partial dentures. 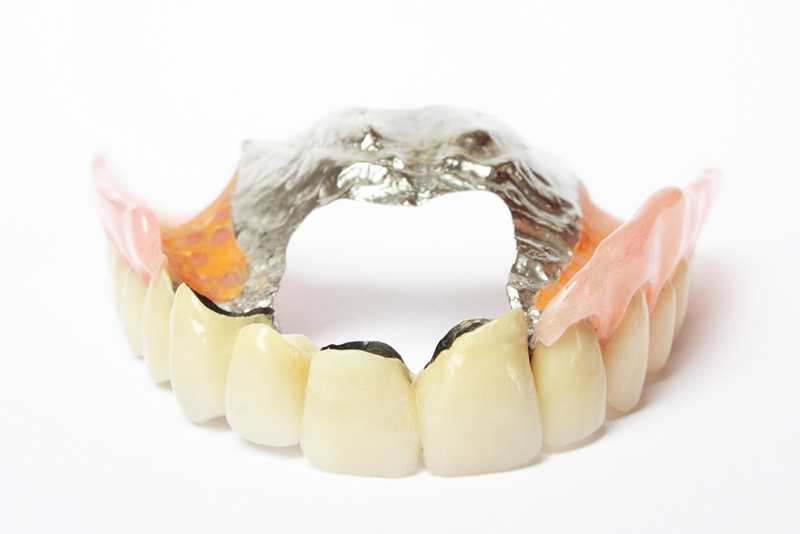 Your denturist can give you more information on the different types of implant supported and non-removable dentures. It’s important to remember that whether you choose full or partial dentures according to your particular needs, they’re going to take some getting used to, particularly if you have lived without some or all of your natural teeth for a long time. Your tongue and cheek muscles will have to get used to the placement of the new dentures, and you will have to learn to speak and eat with them, as well as recognize problems such as your dentures becoming loose or component parts wearing down. 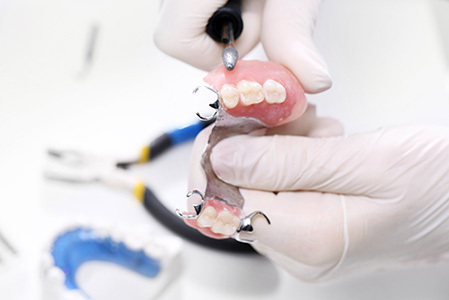 However, most patients are delighted with their new realistic looking and feeling dentures, as compared to struggling with the physical and psychological discomfort of missing teeth. Why Denture Implants Must be Correctly Inserted – The First TimeAffordable Dentures for EVERY budget! Partial Denture – Why Do I Need One – Only Missing a Few Teeth!